Professor Shahzad Shams is a world class Neurosurgeon of Pakistan with gifted hands. Brain surgery is intricate but he makes it simple. He is the most proficient of the Neurosurgeons of Pakistan. He truly has magic hands. He is one of the outstanding Surgeons of Lahore, Pakistan. He is the best doctor for Brain, Spine, Spinal, Backache, Sciatica, Headache, Back Pain. Prof Shams Movement Disorder clinic is the most comprehensive and has robust program for treatment of Parkinson’s disease , Tremors and Dystonia in Pakistan. 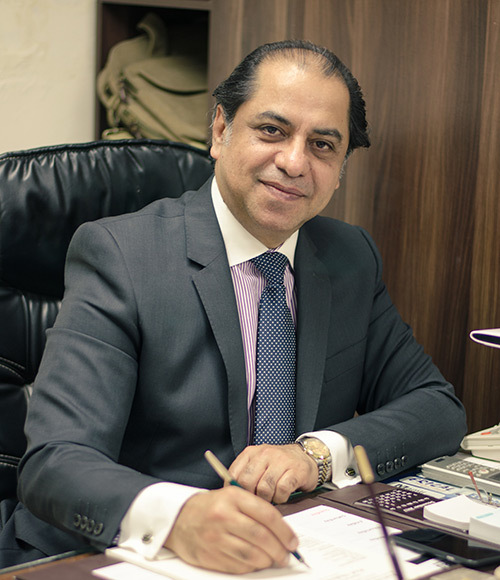 Prof. Shahzad Shams worked as Head and Professor of Neurosurgery Department at Lahore General Hospital, LGH, Lahore, Pakistan and presently works as Chairman Department of Neurosurgery King Edward Medical University and Mayo Hospital, Lahore, Pakistan. Note: Please confirm your appointment one week before. 1st Advanced Neuromodulation and Functional Neurosurgery (ANFN) Center was created on 28th Nov, 2015 as the 1st Private sector Movement Disorder Center in Pakistan, performing DBS Deep Brain Stimulation for Parkinsons Disease, Dystonia, Vegetative state, Coma Patients in ICU Intensive care Unit, Minimally Conscious State or Unconsciousness due to Head Injury, Alzheimer’s Disease, Writer’s cramp ( Task Specific Dystonia ),Tourettes Syndrome, Essential Tremors, Epilepsy, Chronic Pain, Obsessive Compulsive disease OCD, Major Depression, Stroke Recovery, Addiction, Dementia, Eating Disorders, Aggression, Aggressive and Disruptive behaviour, Multiple Sclerosis causing Tremors along with diseases requiring Neuromodulation like Chronic Backache, Failed Back Syndrome, Epilepsy, Neuropathies and Spasticity in Lahore Pakistan using state of the Art Technology like any other center in the world. The team members consist of Senior and experienced Neurosurgeons, Neuro physicians, Radiologists trained abroad to give excellent and world-class results with cutting edge technology to change their patient’s life and bring it back to normal again immediately in the theatre like a Miracle. Neuromodulation is the process whereby an implantable device is used to reversibly alter the activity of the nervous system. This may be accomplished using small doses of medications or a weak electrical current. By altering the activity of certain pathways in the nervous system, pain may be immediately and dramatically relieved. Prof Shahzad was the first Neurosurgeon in Lahore General Hospital to start Stereotactic Surgery for Brain Biopsy. He performs stereotaxy by using worlds most precise Inomed RM frame and IPS Planning software compatible with MRI and CT Scan which gives precise location of submillimeter accuracy of the lesion using 3D Computer Work Station which is the most advanced software in the world for Deep seated lesions, Thalamic lesions, Brainstem Gliomas, Multiple lesions, Brain abscesses, Hematomas, cystic lesions, Very small lesions and old aged patients not fit for Open brain surgery. Surgery is done through an opening of 2mm in the skull and using a very thin probe which reaches the lesion with an immaculate submillimeter accuracy making it the most precise technique in the world. Patients are operated with local anaesthesia and discharged same day. Prof. Shahzad among the Neurosurgeons of Pakistan has large experience in Brain and Spine surgery. He has operated on more than 1000 cases of each of Benign Brain Tumor Meningiomas , Malignant Brain Tumour ( Glioma , Astrocytoma , Metastatic ), Cerebral brain aneurysms( Anterior communicating artery aneurysm, Acom aneurysm and Middle cerebral artery aneurysms ) , Cerebellopontine angle tumour, Acoustic Neuroma Schwannoma Tumor, Pituitary tumour, Prolactinoma, Craniopharyngioma, Rathke’s Cleft Cyst, Sellar and Parasellar tumors and Brain Tuberculomas. Endoscopic Neurosurgery involving both Endoscopic brain surgery especially Transnasal transsphenoidal pituitary tumour surgery and Endoscopic third ventriculostomy(ETV), Endoscopic Repair of CSF Fistula, Leak, Rhinorrhea, Endoscopic excision of Encephaloceles, Endoscopic excision of Craniopharyngioma, Endoscopic excision of Colloid Cyst, Endoscopic Excision of Arachnoid Cyst, Endoscopic Excision of Petrous Apex lesions, Endoscopic excision of Skull Base Tumours, Endoscopic surgery of Clival Chordomas.Trigeminal neuralgia treated by Microvascular decompression MVD, Head Injury and Spine Injury. Endoscopic Spine surgery like endoscopic discectomy, Slipped disc both Cervical and Lumbar, Spinal cord compression due to Tumors, Caries, Spine Fixation for spondylosis and spondylolisthesis and especially in Pediatric Neurosurgery for children with neurosurgical conditions giving excellent results. He is considered to be the Top, Number 1, No. 1 Neurosurgeon, He is the best neurosurgeon in Lahore General Hospital. He is an expert and master of Endoscopic Neurosurgery involving both Endoscopic brain surgery especially Transnasal transsphenoidal pituitary tumour surgery and Endoscopic third ventriculostomy(ETV), Endoscopic Minimally Invasive Spinal surgery (MISS) like endoscopic discectomy. Endoscopic removal of brain tumours through nose. Neuronavigation used to precisely target the lesion and for complete removal. High Powered Microscopes are used to magnify the tumour for safe removal . Telescopes attached to camera with images on monitor are used to treat Hydrocephalus. Per operative Neurophysiological Monitoring is done to protect important nerves and areas of Brain. Professor Shahzad Shams is known world over for providing Quality care to Pakistani and patients from abroad like from US United states of America USA , United Kingdom UK Britain England, Canada, Italy, Greece, Germany, Spain, Australia, Saudi Arabia, United Arab Emirates UAE, Dubai, Abu Dhabi, Kuwait, India, Qatar, Bahrain and Afghanistan requiring Neuro, Neurological surgery or Neurosurgery management. Locally he receives patients from all over Pakistan like Lahore, Sialkot, Faisalabad, Bahawalpur, Gujranwala, Gujrat, Multan, Karachi, Hyderabad, Quetta, Peshawar, Rawalpindi and Islamabad, Abbottabad, Rahim Yar Khan and Sargodha.